Snuggle up to Domo when it’s cold out! Buy this fleece blanket with the Domo Pillow and you could spend the whole day in cozy Domo bliss! Made with super soft micro raschel fleece 100% polyester! Blanket is made from super soft micro raschel fleece. Happiness is snuggling up in your new domo fleece blanket! 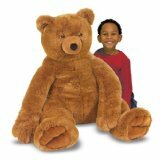 This giant teddy bear is waiting to be adopted into your family! This big guy is 30 inches tall when sitting, and 36 when standing. This plush teddy bear is very soft and lovable, easy to hug and a joy to be around! 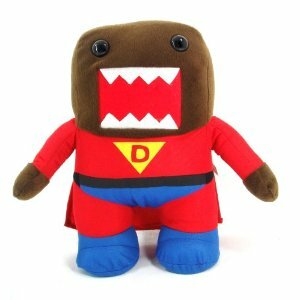 It’s a bird…It’s a plane…It’s…Super Domo!!! 10 inches tall, and ready to fight crime!